After more than a 20-year career in the US Army and almost 10 years in the defense industry, Ed and his wife Pat, embarked upon their sailboat in pursuit of a peaceful life-style sailing the waters of Florida and the Bahamas. Ed celebrates his cruising ground with a paintbrush and an eye for nautical tropical beauty. 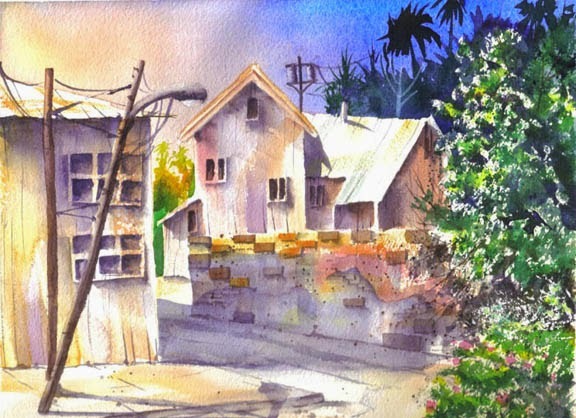 "I love the spontaneity and magic of watercolors and the unique way in which watercolors capture the essense of the tropics." Ed says, though on occasion he will do a few snow scenes portraying his up-bringing in upstate New York and Indiana. 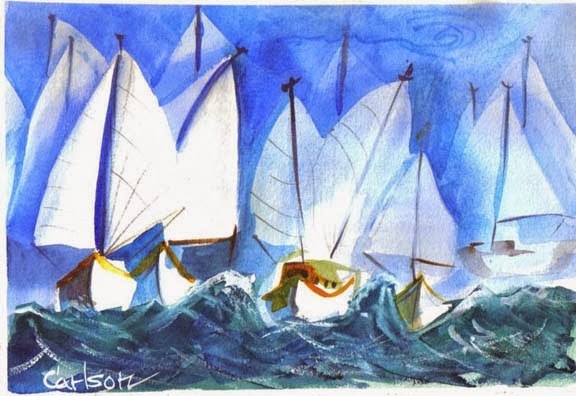 In March of 2002, Ed's watercolors were featured in "Good Old Boat" magazine and have been featured in several local newspapers and magazines. Ed devotes his talents to charity as well as teaching workshops for the Shepherds Center, teaching and demonstrating at Joe's Club and donating paintings for auction by the Wounded Warrior Project at Patrick Air Force Base. In addition to watercolors, Ed's other interests and activities include motorcycling, sailing, scuba diving and martial arts.